What does the rest of the world know about North Korea and the people who live there? 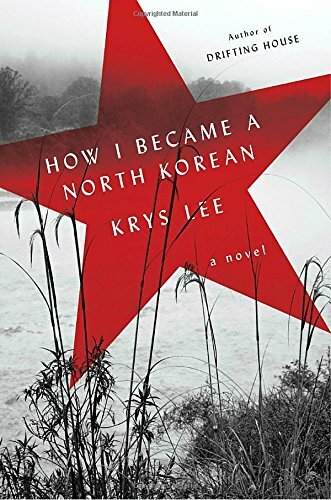 In her latest book, How I Became North Korean, Krys Lee takes readers past the border and deep into the lives of defectors. We’re tossed next to Yongju, Jangmi and Danny, three kids who have been forcefully displaced, out of North Korea and into a new world: China. Life across the river poses many challenges for these three dissimilar characters. China is far from a promised land; the dangers are many, from government informants to thieves, Catholic missionaries, and even other refugees. Yongju, Jangmi, and Danny are part of a vibrant community that struggle to make it in China under heavy discrimination, racism, and political persecution. The novel, long-listed for the 2016 Center for Fiction First Novel Prize, looks deep into religion and the political agendas of North Korea. But this story is also — and maybe primarily — about family and identity. Aside from the obvious grittiness and tension that goes along with nationhood, nationalism, and crossing the border, Lee writes a human story, with maturity and sovereignty. How I Became North Korean is both delicate and menacing; the book’s details are fascinating, along with its social and political background. However it is, most of all, an overwhelming, emotional story. Lee’s book is shaped by its characters’ fragility, but mostly driven by their courage. Lee is currently Assistant Professor of creative writing and literature at the Underwood International College of Yonsei University in Seoul. She and I spoke via Skype. The Millions: With your short story collection Drifting House you gave us a deep look into Korean-American life, and I think you have helped to build the identity of that group as part of migration mythology. Now we have a glimpse of North Korea too. What made you decide to tackle the North Korean refugee issue for this new book? Krys Lee: I have a lot of North Korean friends; I’ve been friends with defectors for a long time. One of my closest friends in South Korea was an activist, so I became involved with that world too. “Drifting House” (the story) arose from learning about North Korea, about the famine and the kids that starved on the streets. It was an obsession of mine; the things people do to survive. Those morally ambiguous situations interested me a lot. However, “Drifting House” was a story about a specific period of time, and I felt compelled to address more broadly human rights in China and the lives of the refugees that are contemporary today. TM: Has North Korea become a literary obsession for you, after writing this novel? KL: For me it’s not about North Korea per se, but about what happens to the people who come out. It’s about people. They’re so vulnerable, so at risk. I felt that those were concerns that needed to be addressed. Many people in South Korea tend to look at North Koreans with a sense of pity and sympathy, but I hope we can look at them with less pity and more a sense of recognition, because of their courage and strength. TM: What did you know about North Korea during the time you lived outside South Korea? KL: I knew nothing, frankly, outside of the fact that the Korean War had resulted in the division of the nation into North and South. I had also read books about the war and Korean modern history. But until I moved to South Korea, it was a terrible, sad, but abstract history that affected my family. My understanding and feelings about it changed the person I’ve become. It’s the same way I feel about death — once someone in your immediate family dies, you cross one threshold and become another person. Crossing national borders and living in another country, and experiencing the country’s past and present, changes a person to the same degree. So much has happened while I’ve lived here. North Korean bombed an inhabited island in South Korea, which sent the two countries to the verge of war, I became friends with North Koreans who had risked their lives to come to South Korea and now don’t know whether their family members are dead or alive. I met activists who worked anonymously and sold their house and used those funds to bring North Koreans from China into a safe third country. Kim Jong-Il passed away and left his young son to rule the nation, who tightened his power (as well as security at the border between China and North Korea) through a typical demagogue’s reign of terror. The dizzying events are many, and my feelings and reactions are complicated and bewildering, even to myself, as they change day to day. TM: Can you tell us about your activism? KL: First, I don’t consider myself an activist. I just had close relationships with people in that world, and became a kind of accidental activist. Once I knew details about them it was hard for me to do nothing. I did some volunteering as a teacher, interpreter, translator, and then more. Later I was asked to help set up a safe house at the border area, which led to struggles with the missionary culture and eventually, to helping a North Korean to safety in a third country. Seeing the dangers and fear people go through, it changed me. TM: You’ve moved around a lot. How did that affect your writing? KL: I don’t know how it has affected my writing but it did affect me as a person. What affected my writing the most was reading. Books have been a constant in my life. And in another sense I suppose moving has shaped my work, for the fact that I moved between continents has augmented my understanding of everything. Moving broadened my horizons; it made nationhood less important to me, and made even clearer to me that identity is a fluid, precarious thing. TM: I found it fascinating how the North Korean experience as depicted in How I Became North Korean echoes and relates to the mojado, or Latin American immigrant experience, or to the current refugee crisis. Not just the tragedies and drama, but their behavior and braveness. KL: I thought about that too as I was finishing writing the book. With my first book I knew I was writing about Koreans and Korean Americans, but again it’s also about people. I write about certain cultures because that’s what I know best, but that doesn’t mean it’s just about Koreans. Koreans are individuals, after all. While I was writing I often thought about how identities are made and formed and imposed on us, and the way the passport determines where you belong, who you are, and your political identity. It’s an identity with benefits and opportunities, but it’s also a geographical jail. Citizenship has political and cultural repercussions, and it’s an idea applicable all around the world, whether you’re North Korean, Latinx, or Syrian. TM: The novel is family driven. How important is family during your writing process? KL: I wasn’t aware when I started writing the novel, but for me, family and nation are two ways to frame how to understand a human being. That’s something I do in real life too. People are shaped by either resisting or accepting different aspects of their environment, their personal life, political situation, family, or nation. TM: Did you interview North Koreans specifically for this book? KL: Oh no, I couldn’t even think about the book when I was there. I was thinking about people’s lives and not putting them at risk. Once I met a woman who was hiding and we visited her. She was so afraid of meeting us, trembling all over out of fear, but she was desperate to get some help, and some money. But no, I didn’t interrogate them, because I think that’s their private life, and most of them have gone through traumatic experiences. If they choose to share something with me that’s fine, but I was not “looking” for material. My characters are not based on those people; they’re inspired by them and their experiences. TM: Are you still working with the North Korean community? KL: I’m friends with a lot of North Koreans, and I’m in an out of the community. I do something for them, if there’s an opportunity for me to be of service, and I’ve maintained many close relationships over the decade. But I also devote time and energy to abused children’s shelters and other areas that matter to me. I think as a human my responsibility is to make one life at a time a little better, if I can. I’ve always wondered what my life would be like if I had become a full-time activist. My life would’ve been very different — I would be so busy that I probably wouldn’t write anymore. TM: Can we talk about the structure of the book? Why did you decided to have three narrators? Were you always interested in a plurality of voices for it? KL: If I could have 20 voices in a novel, I would. I don’t experience the world as a single voice, and I’ve never been interested in seeing the world through my single, limited viewpoint. The novel form is an opportunity to imagine the way of thinking and being of other people, as well as, in this case, a way of more fully exploring the very different experiences and personalities of North Korean refugees. TM: Why didn’t you use the third-person? KL: Actually, How I Became a North Korean went from first-point of view, to second-person plural, to third, and back to first, and at each stage I learned something about my novel and my characters. That’s one of the reasons it took me nearly five years to finish. I generally trust my instincts in life and in writing. When the point of view finally felt like the right one, I stayed with it. TM: Did you made a map for the structure of the novel, or did it come naturally? Can you describe the process of putting together those three characters in the story? KL: I wrote; only when I was stuck did I write ideas, character studies, a basic outline, and whatever else helped me move ahead. But once writing, I rarely refer back to all those notes and outlines, partly because the writing always takes me in another direction, and partly because I’m disorganized and have scraps of notes everywhere. Still, I trust that everything I read and write helped me become closer to the heart of my novel. José García is a first-year Fiction student in the Creative Writing MFA program at The New School. Born and raised in Guatemala, he has worked as a cultural journalist in his home country for the past seven years. He writes about social issues, racism, and migration, and is currently working on a short-story collection that spans the last 70 years of Guatemala alongside his family's history. Life’s too short to be intimidated by the books that are waiting only to be picked up and encountered, and then devoured, if you like what’s on offer — it’s like being intimidated by food. Daniel Radosh’s Rapture Ready! is a sociological experiment of sorts. What happens if the liberal leaning, Jewish New Yorker embarks on a hands on exploration of the parallel world of Christian pop culture, one that takes him to Midwestern Christian Lollapaloozas, Bibleman appearances, and Christian themed pro wrestling matches? The result is a book that is by turns funny, bizarre, and thoughtful, as it looks for the “darkest corners of this parallel universe” but more often than not finds common ground. Radosh is a contributing editor at one of my favorite magazines, The Week, and frequent contributor to another, The New Yorker. He also pens a funny and eclectic blog.The Millions: A lot has changed in the country in just the last couple of years since you started working on Rapture Ready!, with the politics associated with born-again Christianity falling out of favor to a certain extent. Do you think that the change in the political climate will change the way Christians express themselves through pop culture?Daniel Radosh: I wonder if to some extent you don’t have your cause and effect backward. That is, the political power of the religious right is starting to wane at least in part because of some of the changes within evangelical culture that I document in the book. Young Christians, expressing themselves largely through pop culture forms — music, magazines, books, web sites — have been challenging the conservative leaders of the church. Even younger Christians who may themselves have conservative politics don’t believe that such politics ought to be linked to faith, or that being a Christian means you must be a Republican. Rank and file Christians’ dissatisfaction with the war in Iraq and the response to Katrina, in particular, weakened the ability of the more gung ho leadership to continue to rally people in support of the Bush administration.As the political scene in general has shifted, more and more progressive Christians have been liberated to speak up. And I think we’ll see more of that. On the other hand, there has also been a backlash — an attempt to protect “Bible-based Christianity” from the “grace” or “red letter” movement. This rear-guard action also takes pop culture forms, such as the insanely militaristic Battle Cry rallies. So I also wouldn’t be surprised to see a return to militancy in some Christian rock, for example.TM: You focus a lot on Christian music in the book. Is this because that is what most interested you or do you think this is the most important segment of Christian pop culture?DR: More the latter. Modern Christian pop culture pretty much began with the Jesus people movement of the 1960s and 70s, and its earliest manifestation was Christian rock. So it’s been around the longest, developed the largest audience, and, perhaps most importantly, the scene has grown big enough to reflect the diversity of evangelicalism.TM: In the book, you recount some episodes that offended and angered you during your exploration of Christian pop culture. Was it hard to keep yourself from writing something “angry” as opposed to the funny and reasoned book you produced, or did you find that the reasonable, humane impulses of Christian culture outweighed the aspects of it that offended you?DR: Can’t I have it both ways? There are definitely aspects of Christian culture (not to mention individual Christians) that I came to respect, admire and simply enjoy. But they didn’t make me hate the offensive stuff any less. Rather, they simply made me realize that the offensive stuff, while it demands and usually gets the most attention, isn’t representative of the entire church, so that maybe made me less angry. Also, I’m not a particularly angry guy, so that helped.TM: How much of the book got left on the cutting room floor? Were there any episodes that you wish had made it in?DR: Early drafts of the book were crammed with every strange or funny thing I encountered. But it got repetitive and slowed the narrative down, so I don’t really miss it. Some of that stuff ended up in the multimedia appendix on my web site. I do miss a chapter on geocentrism, which got reduced to one paragraph at the end of the creationism section. It was a lot of fun, but didn’t fit the pop culture theme of the rest of the book. I’m hoping to turn it into a magazine article at some point.TM: Now that the book is out, what are some of the things you’ve heard from born-again Christians who’ve read it? Do they resent it or find it refreshing?DR: Judging from the Christian blogosphere, there’s definitely a lot of interest in it, though most of these folks haven’t actually read it yet and I’m not sure what they’ll think of it when they do. Of those that have, many have really embraced it. I’ve gotten some very nice e-mails, done a lot of Christian radio interviews, and was even asked to write an article about my experiences for a pretty cool Christian magazine called Relevant. More conservative evangelicals have found it entertaining, but are a little put off by my liberal perspective. I’d be worried if they weren’t. Initially I had a blog because everyone told me to have a blog. And when I started, I thought what can I regularly blog about that feels like a deep enough well? And the answer was: the process of writing. The creative process itself. What it takes to do the work, what are the pitfalls and the joys, the struggles and the privileges. We do what we do alone in a room. Yet we’re struggling with the blank pages. It’s not really that David had any answers for people. But he never stops taking his life seriously and he never stops taking the reader’s life seriously. And I think that’s the connection: you never stop mattering to him and he never stops mattering to himself. As water flows over rocks, so does knowledge flow through books. Books have knowledge and reading books gives you knowledge and power. Just watching someone work at something so hard, putting years into it and going through really challenging moments with it because it’s a vital part of her life—it’s impossible for me to feel jealousy or to feel threatened. I just feel we know when we see someone with buckteeth and super slanted eyes that that’s supposed to be outdated. Right? But then a lot of these sorts of things keep popping up in our culture.